An autopsy was completed this morning on Clarence Barry Holcombe (54yoa) who was found dead yesterday inside his residence at #112 Planters Way. The Sheriff’s Office has been advised by the Pickens County Coroner that the autopsy on Mr. Holcombe has confirmed that he died from a single gunshot wound to the upper chest. A team of Detectives worked throughout the night in an effort to track down leads and interview multiple individuals that could perhaps shed any light on the circumstances surrounding Mr. Holcombe’s death. No charges have been filed against any person at this stage in the investigation. The Sheriff’s Office encourages anyone with information to call the Pickens County Sheriff’s Office at (864) 898-5500 or Crimestoppers at 1-888-CRIMESC. A Crimestoppers’ tip that leads to the arrest of the person or persons responsible for this incident could result in a cash reward. The Pickens County Sheriff’s Office is currently investigating the death of an Easley man as a homicide after being found dead this afternoon in his residence located at #112 Planters Way. A neighbor called 911 at approximately 12:30pm today after observing the victim through a window inside the residence. The victim was on the floor and unresponsive to knocks at the door. EMS and the Sheriff’s Office responded to the scene and confirmed that the victim could visibly be seen on the floor at which time entry was made into the home to render aid. The victim who is an adult male was found deceased with a visible injury to the chest that is characteristic of a small caliber gunshot wound. No weapon was found at the scene and there were no obvious signs of forced entry into the home. Preliminary investigation is that the victim resides at the residence. The Sheriff’s Office has not taken anyone into custody during the early stages of the investigation as Sheriff’s Detectives continue to conduct interviews with relatives, friends and acquaintances. Inquiries concerning the identity of the victim should be directed to the Pickens County Coroner’s Office. An autopsy of the deceased will be conducted tomorrow to determine the cause and manner of death. Anyone with information regarding this incident is asked to call the Pickens County Sheriff’s Office at (864) 898-5500 or Crimestoppers at 1-888-CRIMESC. 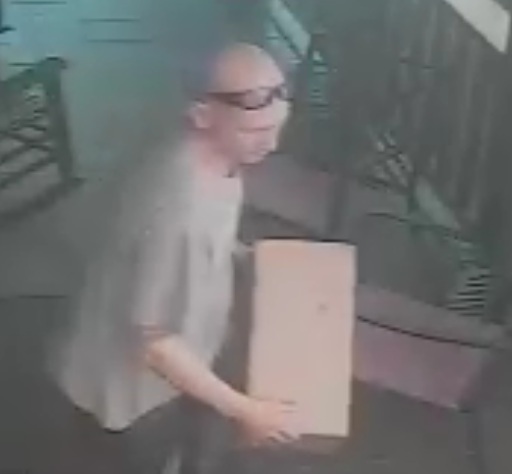 Earlier today with the assistance from our local media partners, the Sheriff’s Office received numerous tips from the public that has led Detectives to the identity of the male subject captured on video as he stole a package from the front porch of a residence in Easley. 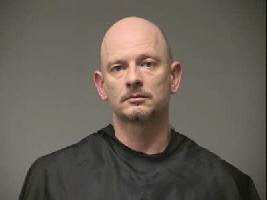 An Arrest Warrant has been issued this afternoon by a Pickens County Magistrate for Anthony Ray Tuggle (39 yoa) for the charge of Simple Larceny – Enhancement (Enhanced for prior convictions for theft related incidents). Mr. Tuggle is currently out on bond following a previous arrest in Pickens County in June of this year for the charge of Burglary 2nd Degree. “The quick response from members of our community in coming forward with helpful information speaks to the positive changes that are occurring daily in our neighborhoods in Pickens County. Residents have pulled together to work with law enforcement to rid our county of those that refuse to respect others and continue to steal from the hard working person that is trying to provide for his or her own family. We cannot thank the public enough for their support and their continued trust to work with us in our goal to not allow Pickens County to become as crime ridden as other areas within our state”. Anyone with information as to the whereabouts of Anthony Ray Tuggle is asked to call the Pickens County Sheriff’s Office at (864) 898-5500 or Crimestoppers at 1-888-CRIMESC. 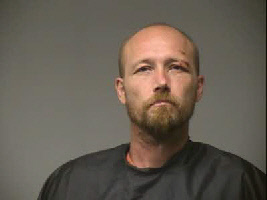 A copy of the Arrest Warrant and a recent photo of Mr. Tuggle is attached to this release. 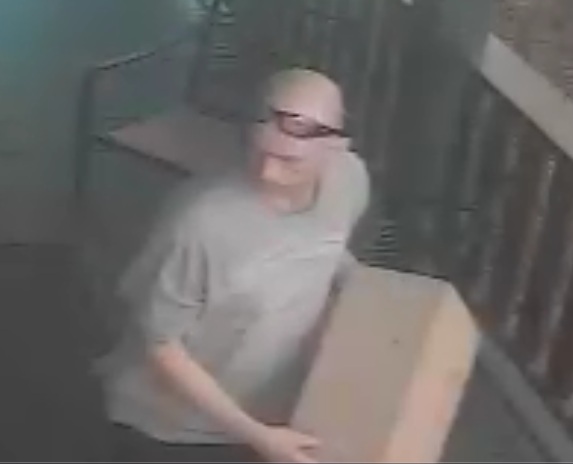 The Pickens County Sheriff’s Office is currently investigating the theft of a package from the front porch of a residence on Edgewood Rd in Easley that occurred on the afternoon of Tuesday, December 15, 2015. 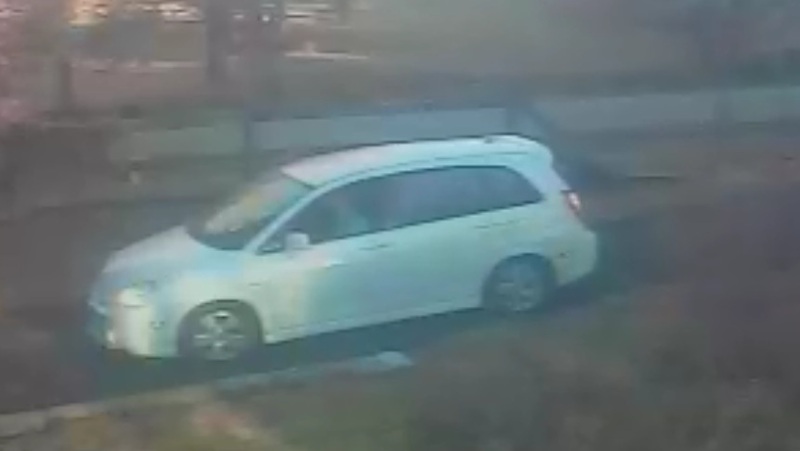 A home security system captured the incident on video and the Sheriff’s Office is asking for the public’s assistance in identifying the male subject seen driving onto the victim’s property in a white van and stealing the package that had been delivered by the Postal Service earlier that day. Anyone with information as to the identity of the subject in the photos is asked to call the Pickens County Sheriff’s Office at (864) 898-5500 or Crimestoppers at 1-888-CRIMESC. Please see the attached three images of the suspect and an additional image of the vehicle he was occupying when the incident occurred. The Pickens County Sheriff’s Office has located a Central man previously reported missing after having been last seen on Sunday, December 13, 2015. Arthur Delane Kelly (39yoa) was located today in Easley and is currently being treated for a pre-existing health condition. No evidence or information indicating that any signs of foul play have been discovered during the investigation into Mr. Kelly’s disappearance. The Pickens County Sheriff’s Office would like to thank all media sources as well as the public for their assistance in this case. The Pickens County Sheriff’s Office is currently investigating the disappearance of a Central man that has not been seen since Sunday, December 13, 2015. Arthur Delane Kelly (39yoa) was last seen by a landlord on December 13, 2015, and was last spoken to on the telephone the same date by an acquaintance. 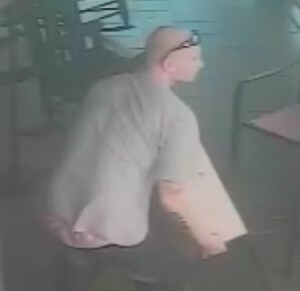 Mr. Kelly is described as a W/M, 6’, approximately 185lbs with balding hair and green eyes. It is unknown whether Mr. Kelly has acquired a vehicle and no information is available concerning what he might be wearing. The circumstances of Mr. Kelly’s disappearance are unknown at this time but he is under a doctor’s care and does require medication that is to be taken daily. Witnesses state that Mr. Kelly may be suffering from hallucinogenic episodes. No evidence or information of foul play has been discovered by the Sheriff’s Office at this stage in the investigation. Anyone with information as to the whereabouts of Arthur Delane Kelly is asked to call the Pickens County Sheriff’s Office at (864) 898-5500. The investigation is currently being conducted by Detectives within the Sheriff’s Office. An image of Mr. Kelly is attached to this release.